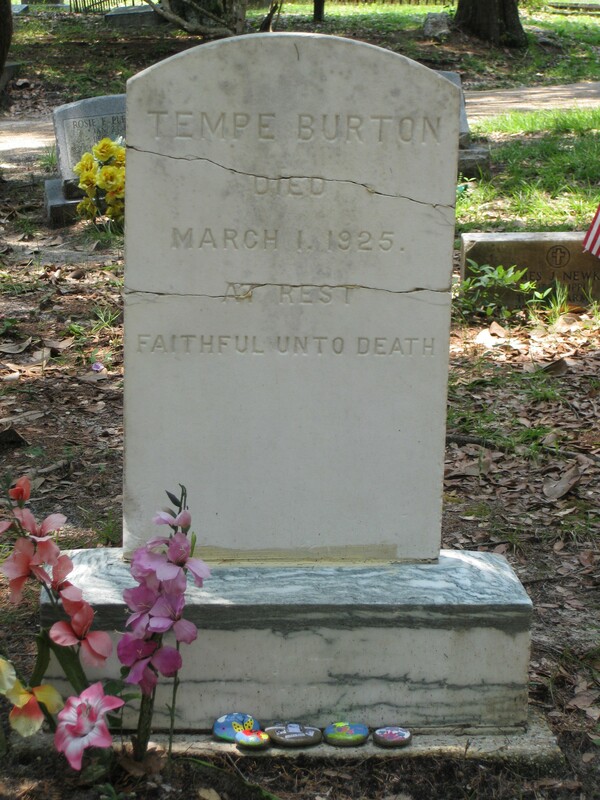 Great, great-grandma Tempy Burton’s grave looking spiffy! The colorful rocks are mementos prepared by Monique, myself and our daughters before we left on our journey. Tempy’s grave at Evergreen Cemetery a few months ago, courtesy of Ann Nash. 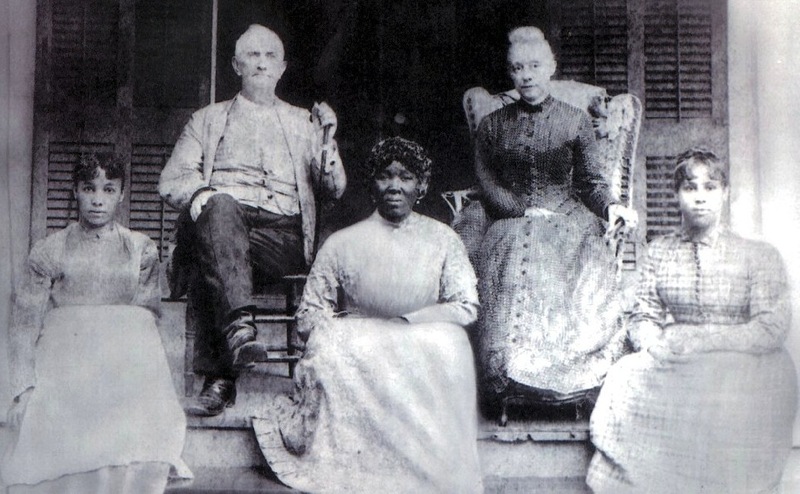 I think it’s great to see evidence of her descendants remembering her now at her grave. 🙂 Maybe Ann tweaked the image in photo software to make the lettering show up & it wasn’t really that brown? just a guess. This must have been a very sweet moment to touch this part of your history. 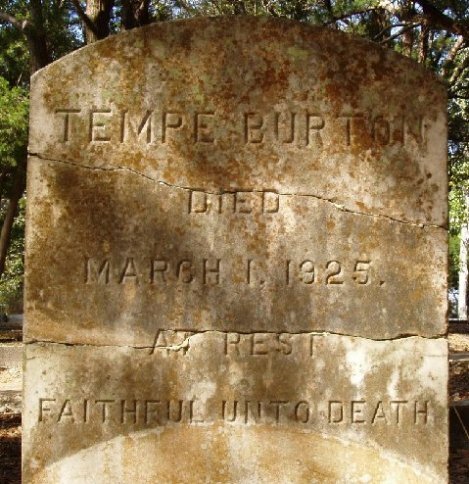 I’m curious about the spelling of her lovely name, Tempy in your writing, and Tempe on the tombstone…have you found it both ways in your research? Oh my goodness! It’s beautiful! What a wonderful surprise it must have been to see the stone so pretty. What an incredible before and after comparison! And I absolutely love the flowers and those beautiful rocks that you guys made! !